Canadian Prime Minister Justin Trudeau has renewed his threat to scrap a potential deal to buy fighter jets from Boeing. Trudeau called the U.S. plane manufacturer's trade action against Canadian company Bombardier "unwarranted" and added that if Boeing (BA)continues the dispute, Canada won't be buying Boeing's F/A-18 Super Hornet fighter jets. The deal could potentially involve the purchase of 18 jets at a cost of more than $5 billion. "We won't do business with a company that's busy trying to sue us and put our aerospace workers out of business," Trudeau said Monday in Ottawa after a bilateral meeting with U.K. Prime Minister Theresa May. Bombardier (BDRBF)is the largest aerospace company in Canada. In what is emerging as a bitter battle to protect aerospace jobs in both North America and the U.K., Britain's Prime Minister confirmed she will raise the trade dispute with U.S. President Donald Trump later this week during a bilateral meeting. She said she would once again impress upon him the "importance" of the jobs at stake in the United Kingdom. The U.S. State Department last week cleared Boeing to sell the fighter jets to Canada, even as the potential political ramifications of Boeing's suit against Bombardier continued to unfold. Boeing opened a case against Bombardier at the Commerce Department's International Trade Commission in April accusing the company of dumping its C Series passenger jets into the U.S. market at "absurdly low prices." The case was inspired by the 2016 purchase by Delta Air Lines (DAL) to buy up to 125 C Series airliners from Bombardier. The Canadian firm has denied the dumping accusations and accused Boeing of hypocrisy. An initial ruling by the ITC is expected as early as Sept. 25, according the aviation industry officials. 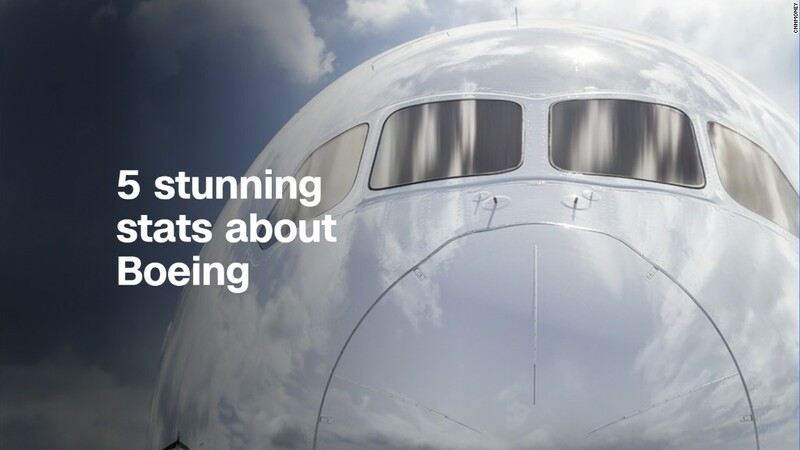 In a statement to CNNMoney on Monday, Boeing said it was not in a spat with Canada. "Boeing is not suing Canada. This is a commercial dispute with Bombardier," the statement said. "We like competition. It makes us better. And Bombardier can sell its aircraft anywhere in the world. But competition and sales must respect globally-accepted trade law," it added. The move against Bombardier could result in serious economic consequences in Northern Ireland. 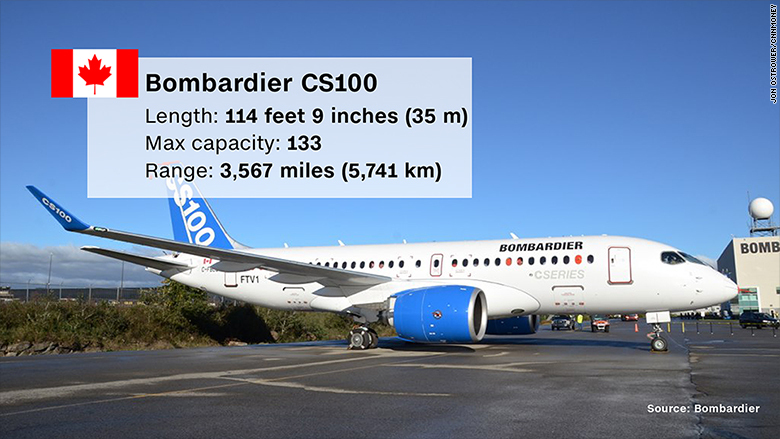 More than 4,000 people work at Bombardier there, the majority involved in making carbon fiber composite wings for the C Series. Bombardier's aerospace division employs 28,500 people worldwide. May acknowledged that a decision from the U.S. Commerce Department is due in late September but cautioned that even if the Trump administration sided with Boeing, it would only be a preliminary ruling. "There will be a preliminary judgment in the U.S. next week in relation to this case but that will just be a preliminary judgment so it will be possible for us to continue to work together to try and bring about the resolution that we want," she said. Prime Minister May is vulnerable in Northern Ireland politically, post-Brexit. The Democratic Unionist Party agreed to prop up the May government earlier this year in return for economic investment in Northern Ireland. Earlier this month, Trudeau said in a statement that the dispute could force Canada to abandon plans to purchase fighter jets from Boeing because the company "is pursuing unfair and aggressive trade action against the Canadian aerospace sector."